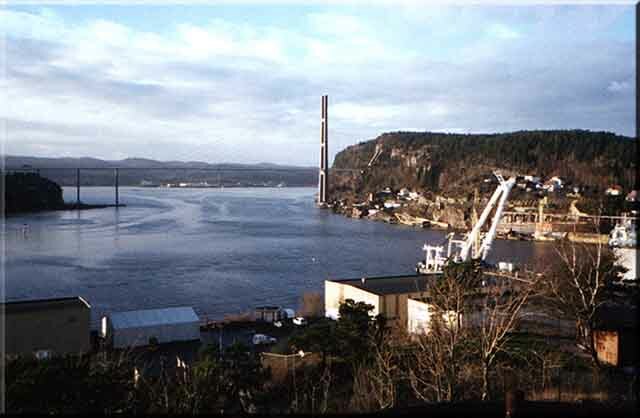 I was given the opportunity to take part in the building of a new ship which was under construction in Brevik, South East Norway. The chance was too good to miss and after arrival in Norway, a series of coincidences was to unfold. Perhaps, after all, it was fate? I became friends with Stein Skontorp, an engineer who worked in the shipyard. 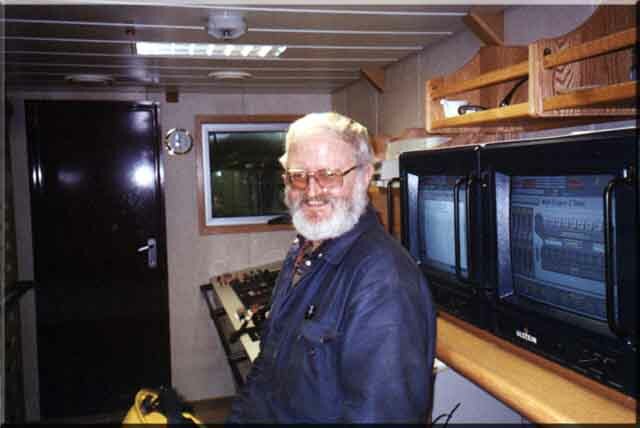 He was an ex merchant seaman and had worked for many years in South Africa before returning to Norway as a married man. He had friends and family who had been involved in the whaling industry. He was later to share some of his knowledge with me. 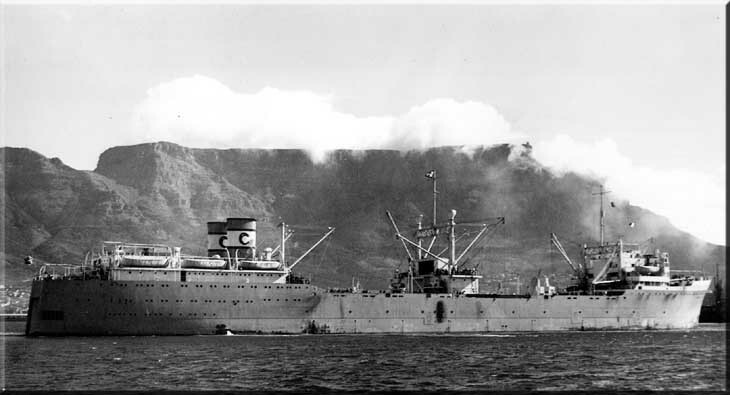 The Factory Ship Rosshavet in Cape Town for bunkers and stores on her way home to Norway after the 1947-1948 season. She was registered in Sandefjord and powered by two 7 cylinder, supercharged B & W main engines, producing 7,500 shaft horse power each. Rosshavet was later to be converted into a drill ship. 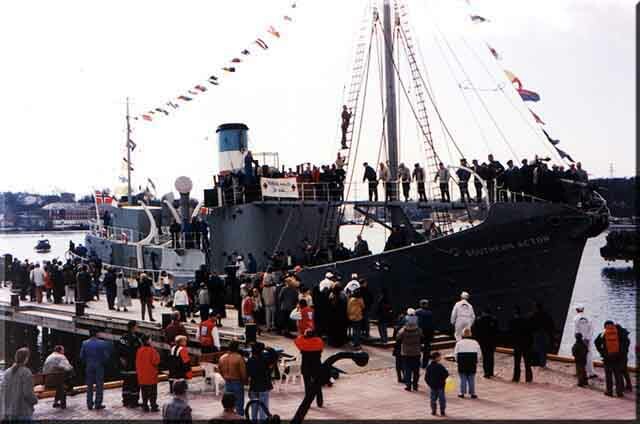 The Southern Actor (now a museum shp) arrives at the quay in Sandefjord at the end of April 1995, after a full refit, bringing her to as near to her original condition as possible. She was built in 1950 for Sevilla Whaling Co. Ltd. and managed by Christian Salvesen & Co., Scotland. She is seen here in her original Salvesen livery. 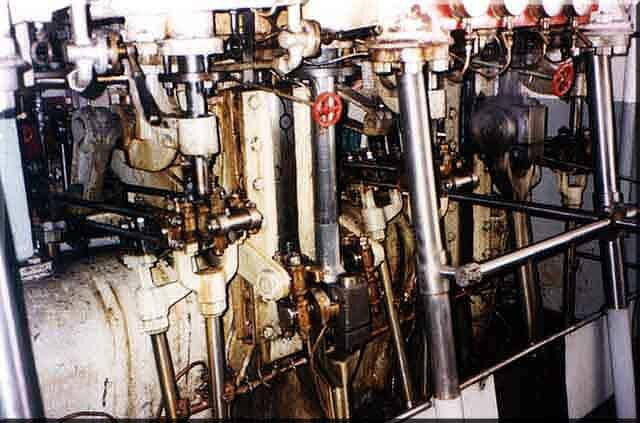 The steam engine of the Southern Actor, still going strong after more than 65 years. 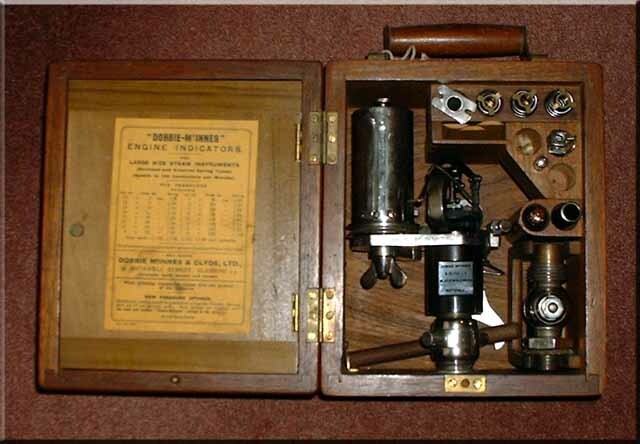 The steam engines were favoured by Norwegian whalers as the engines were quieter than diesel engines did and did not frighten the whales. 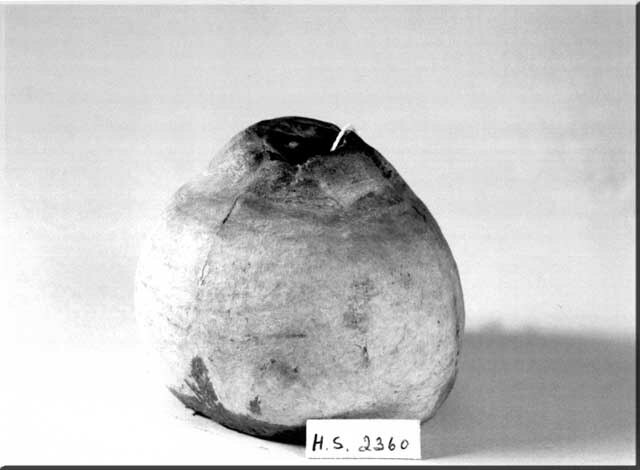 With Stein's help I was to see artefacts that had been previously unknown to me, such as a preserved whales eyeball. Whales teeth and a whales eardrum. This preserved whale's eye ball can be seen in the Sandefjord Whaling Museum. 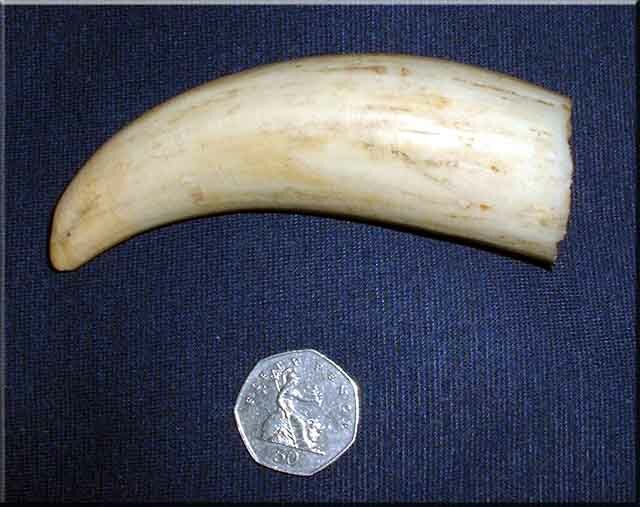 An adult Sperm Whale (Physeter macrocephalus) tooth alongside a fifty pence piece. Due to lack of use over centuries, the teeth regressed and only the part above the ridge seen on the left was above the gum level. 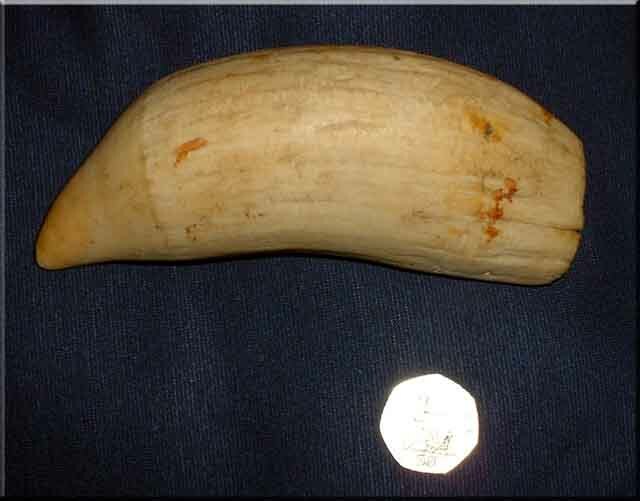 A Killer Whale (Orcinus orca) tooth. Unlike the one above, the tooth here would have been used in earnest. 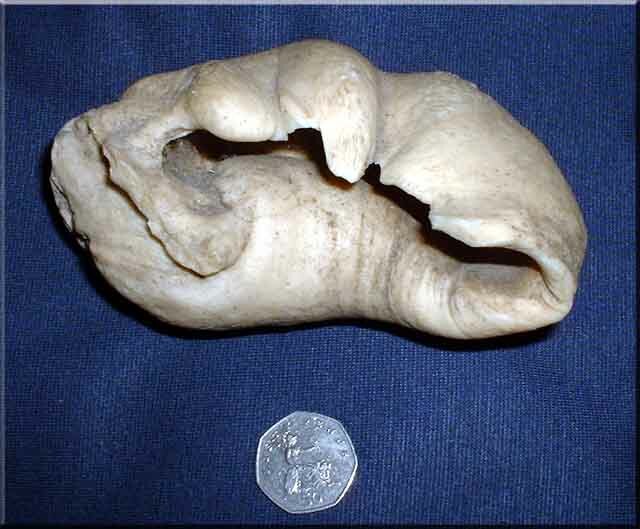 The ear-drum from an adult Sperm Whale (Physeter macrocephalus) with a fifty pence piece to give an idea of the size. The bone is as dense as rock and was the only part of the whale left after the bones had been through the final furnace. "Scrimshaw" was practiced on these bones for hundreds of years. Others were painted, often with a human face.